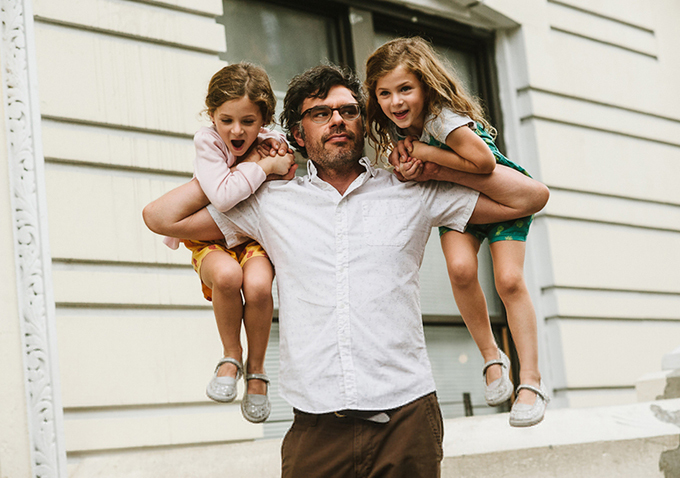 Best known for his comedic turns in HBO’s beloved series “Flight of the Conchords” and in films like “What We Do in the Shadows” and the “Rio” series, New Zealand actor and musician Jemaine Clement took a plunge with his latest role. In James C. Strouse’s “People Places Things,” Clement goes understated — and more than a bit mopey — as recent divorcee Will Henry. 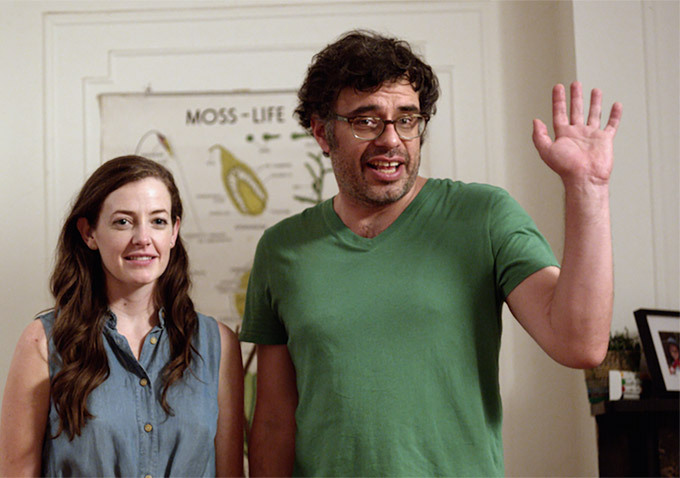 Shocked to discover that his wife (played by Stephanie Allynne) is cheating on him with a pal (Michael Chernus, who also co-stars in another new release this week, Noah Baumbach’s “Mistress America”), Will packs up his things and attempts to move on with, well, pretty much his entire life. Thrown into utter disarray, Will tries to balance his broken heart with caring for his adorable twin girls, keeping up appearances at work (he’s a teacher and a graphic novelist) and possibly even dating a student’s mother (Jessica Williams plays his plucky student, while Regina Hall is her no-nonsese mom). The film is all the things a good romantic comedy should be — funny, sweet, strange, awkward, a little sad — and Clement’s performance heralds something new from the actor, understated or not. Speaking to Indiewire at the film’s press junket at a swanky hotel in New York City’s Soho neighborhood, Clement admitted straightaway that he didn’t actually know what kind of film he was making when he signed on to star in Strouse’s latest. The film is a departure from Jim’s earlier work, how familiar were you with his filmography before you signed on for “People Places Things”? I was not familiar with them. The script was my introduction to Jim, and I read that, and I found it funny and warm. But mostly I was interested because it was funny, and I thought, okay, this is what I am comfortable with. Then I watched “Grace is Gone,” and it’s heartbreaking, and I thought, maybe I’ve interpreted this script wrong, maybe this is much sadder than I’d read it. Sometimes you can read something wrong. A lot is open to interpretation with this script, performance changes it, and the music and the way it’s shot. Even when we started, I didn’t know, for sure how comic or dramatic it would be. Someone on the crew asked him on the first day, “Is this a comedy or a drama?” and he said, “I don’t know. I don’t think it matters.” And I was happy with that and, I think in a a way, he’s right, it doesn’t matter to the movie whether it’s a comedy or a drama. The word most people seem to use to describe your performance is “understated.” Did you actively pursue that kind of break from your other work? It is different for me. It’s different to what I am used to performing, but it’s more like real life. I’m used to real life. The film premiered at Sundance, where there seemed to be an uptick in romantic comedies, from this to “Sleeping With Other People” to “I’ll See You in My Dreams,” do you think that genre is becoming more prevalent in the indie space? I think probably — and this happens with a lot of films — that you’ll have the big, popular movies will come out and do it their way. And then, in indie film, sometimes — you expect indie film to lead, but sometimes indie film does it afterwards, but reinterprets that. There’s a different way of doing it. For instance, what’s different about this is a lot of what the characters are dealing with in this are a break-up, so that’s unusual in a relationship film. It starts off in a different part of the relationship than you’re used to seeing. Your supporting cast is filled with so many tremendous actresses, was that exciting for you? It’s one of Jessica Williams’ first film roles, and she’s wonderful, she really pops off the screen. Yeah, she’ll definitely be in more films. Jim, straight away, wrote a film for her. So he’s written another script just for her, where she’s the main character. Not related to this one, she’s not this character. You also have a set of twins playing your daughters, Aundra and Gia Gadsby. I was never nervous about that. We got on really well, really quickly. They would make me do that all the time [gestures to poster of himself lifting both twins up on his arms]. That was on the first day we met, we just took a photo of that and I had to do it every day. I must have got pretty strong. Did you spend any time with Stephanie or Regina before your scenes together? No, none of that. With Stephanie and I, we were coming apart in the film, so we have to seem like we’ve known each other for a long time, but we don’t have to seem like we get on exactly. And then Regina, she came to set the first day we did our scene. In our scene, we were meeting each other, so that was almost real life, where I had just met her in the car on the way. And we had to pretend to meet for the first time directly after we had just met. With the kids, we did a couple of rehearsals, because they hadn’t been in a film before. They’ve since done another one, I think they play the same character, they get swapped out, “Full House” style. Your character is an artist, and a variety of his works pepper the film and its narrative, did you and Jim discuss how those would look before you started filming? Jim sent them before we shot. Jim had me do some of the drawings in the film — the kites, I did the kites. The graffiti, my ex-wife’s new boyfriend, posters of him, I’m graffiti-ing them. For awhile, I tried to learn Gray Williams’ style, but I couldn’t draw in his style, so I just did my own. If you watch the way Gray draws, he’s so meticulous about it. The film is being released simultaneously in theaters and on VOD, which is becoming a more viable way to release smaller films. I think it’s great, especially for indie films, where they often may only play in like six cities. It’s great if you live in one of those cities and you like indie film. There are people who like more unusual films who live anywhere in the world. That’s great that it makes it more accessible. I grew up in a small town, and I remember seeing shows that interesting films on them, and some of them I still haven’t caught up with. I’d be excited about the film, but it would be years until I went to a city where they would play that kind of film. What are you still trying to catch up on? There’s one filmed called “Eat the Rich,” I remember seeing interviews about it, but it wasn’t playing where I lived. I still haven’t seen it, since when I was a kid. How did you watch movies when you were younger? I’d go to the theater on the weekends, and they were really cheap and you’d have an intermission, and people would hang out around outside. Most weekends, I’d go to the films. Me and brother would go to one theater, see if there was a kids movie, and if it’s not a kids movie, then we’d sprint to the other end of town, which had the other movie theater, to see what was on there. “What We Do in the Shadows” has had amazing legs on it, especially now that it’s hit VOD. Yeah, yeah, it goes up and down on the charts. It started off as number one on the charts, and then it went down to number ninety. This week, it’s like number forty or something, it keeps going up and down. It’s amazing. A couple of times, people have tweeted about it, and I’m pretty sure that’s pushed it, like James Gunn, who directed “Guardians of the Galaxy,” he mentioned it on his Twitter, and it went from number eighty-something to number twenty that weekend. It had already been out for awhile. Things like that have kept it going. Word of mouth spreads in a different way. Well, “Gentleman Broncos” was pulled straight away because reviewers didn’t like it, but it has its own– people are still discovering it, and it’s either they love it or they totally loathe it. But it has its own dedicate fans, as well. Both those films have their very dedicated fanbases. Do bad reactions like that bother you? It depends. A lot of comedians will say, when you’re playing a live audience, and there’s one grumpy face who clearly doesn’t like it, that that distracts them. But I, when I’m on stage, and most people are liking it and I see one face that isn’t liking it, that makes me really amused. Whatever that one person doesn’t like, that other people are liking, I put on extra. You’re also a commercial star, playing a horse on a series of DirecTV commercials. I’ve had to be here a lot this year, and every time I go past a bar and look at the TV, that horse is on the screen, it’s on a lot. As far as recording lines, I just went into the studio. People keep referencing the ads to me and I can’t remember, because I only went in there for a few hours and did a whole bunch of them. It didn’t take a lot of time to do anything. They made me do a lot. Do you feel like you’re going to be asked about a “Flight of the Conchords” movie every day for the rest of your life? We have actually started writing one. But who knows if it will ever be made, we’ve written some notes for some different film ideas. We’re not down to the stage where we’re going, “The film is going to be like this,” it could be this, this, this, this, this. Most of your “BFG” co-stars have been very tight-lipped about who they’re playing, especially Bill Hader. You shouldn’t have mentioned that! You should have just said, “Which character are you playing?” Bill might have read his contract. We are two of the evil giants, me and Bill. There’s a bunch of us, there’s like nine of us, and Bill and I are kind of the leaders of the evil giants. “People Places Things” is in theaters and On Demand today, August 14.